The ties between the Ocean All-Russian Children's Center and China have continued in the past decade, becoming an epitome of the enhanced communication and friendship between the young generations from the two countries. “Numerous touching stories happened over the history of China-Russia friendly exchanges, and the huge support from Russian government and people to China during the Wenchuan earthquake in 2008 is especially unforgettable,” said Fan Xianrong, Minister-Counselor of Chinese Embassy in Russia. 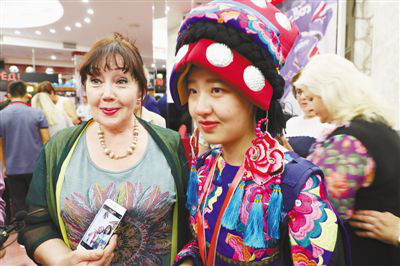 Russia invited thousands of Chinese children from disaster-stricken areas for rehabilitation, which was definitely a laudable move, said Fan, who witnessed the helping hand extended by Russia as the then Chinese consul general in the Far Eastern city of Khabarovsk. Ten years ago, Russia was the first country in the world to send relief materials to China’s earthquake-hit zone. Racing against time, it also sent rescue and medical teams to the disaster areas and saved a senior Chinese from the ruins. In late May, 2008, the Russian government sent an invitation to students from the disaster areas to Russia for rehabilitation. A total of 18 rehabilitation centers from 15 Russian states and cities applied to accept the more than 1,500 Chinese children. Russia attached high importance to these young visitors. The All-Russian Children’s Center “Ocean”, one of the most famous children’s camps located in the less developed Far East region of Russia, was one of the applying centers. It specifically selected some best buses in the city to pick up the Chinese children at the airport, despite the limited number of vehicles it actually owned. There was nobody in the center that could speak Chinese, but the center still showed their love for the Chinese children traumatized in the earthquake in “Chinese style”. They prepared a banner that said “Sichuan, we are with you! China and Russia are friends forever!” in Chinese, and consulted Fan. “It really touched me, since it indicated the sincere friendship of the Russians,” Fan told People’s Daily, adding the sincerity was the reason for them to create such inspiring banner. Chinese is a nation that requites favors. Responding to Russia’s invitation, in 2010 and 2011, the Chinese government invited about a thousand of Russian elementary and middle school students to China for summer camp in Beijing, Shanghai, Dalian and Qingdao. The ties between the Ocean All-Russian Children’s Center and China have continued in the past decade, becoming an epitome of the enhanced communication and friendship between the young generations from the two countries. According to an employee of the center, the center has witnessed expanded cooperation with China in recent years, and the communication between the young generations from the two countries is getting more frequent. Recently, the center established regular exchange mechanisms with Chinese provinces including Heilongjiang and Shandong, the employee told People’s Daily. Both Chinese and Russians share a common aspiration to have the seed of friendship root, sprout, bloom and yield fruits and the traditional friendship passed on from generation to generation.